Hello everyone and happy Thursday! 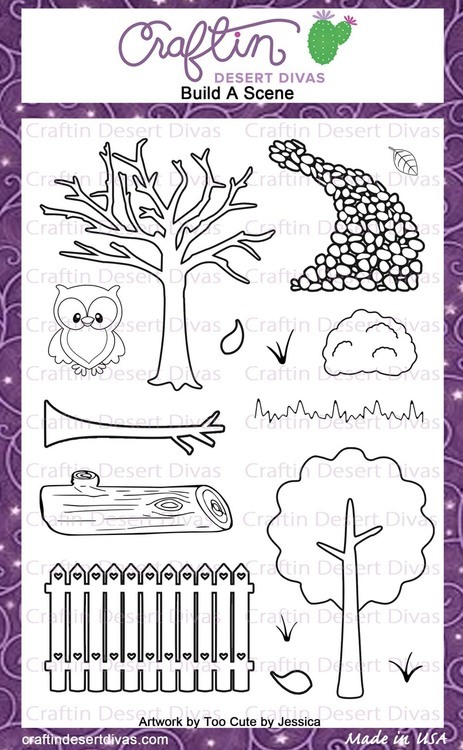 Tatiana here from Tatiana Craft And Art and I'm bringing you my daily post over at Craftin Desert Divas! 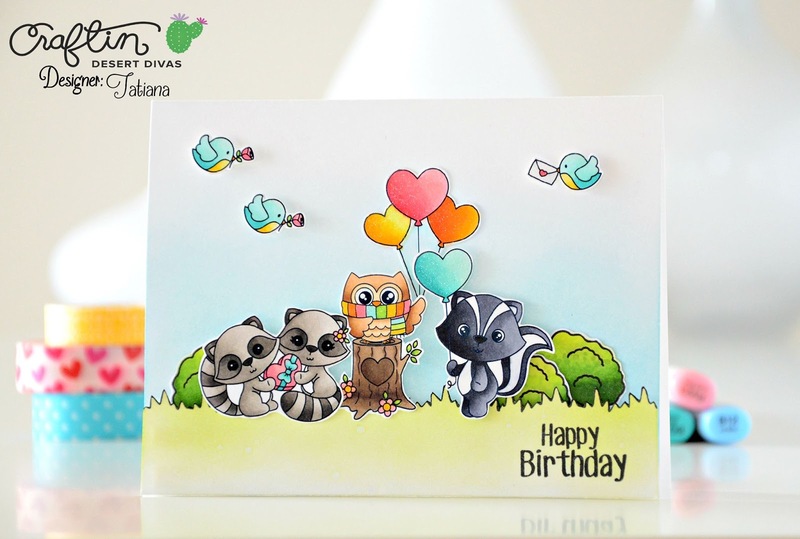 Today I have a few fun ideas to share with you featuring adorable cute digital stamps that CDD added recently to their shop: how you can combine them with traditional clear stamps and use not only for Valentine Day's cards. 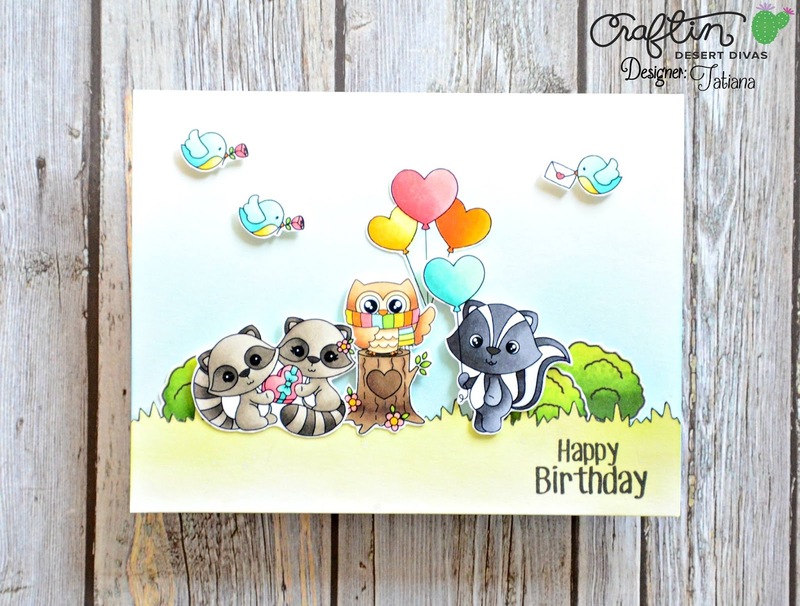 I like to think out of the box and try to stretch my supplies all the times so when I saw the new cuties from CDD I just couldn't resist using them on my card. The easiest way to interpret stamps in a different way from what they originally were intended to be is to change a color combo. 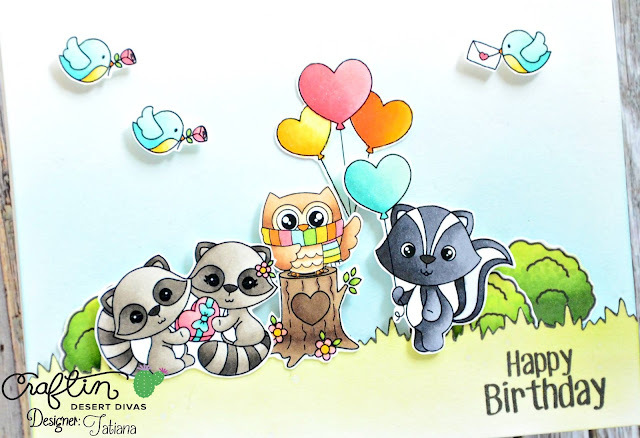 So I simply printed out a bunch of stamps on a copic friendly paper, using a laser printer and colored them with copics using soft rainbow colors perfect for a birthday theme. Then I fussy cut everything leaving a little white edge around. Be sure to scroll down to the bottom of this post to see all the exact stamps and copic marker numbers I used on this card. 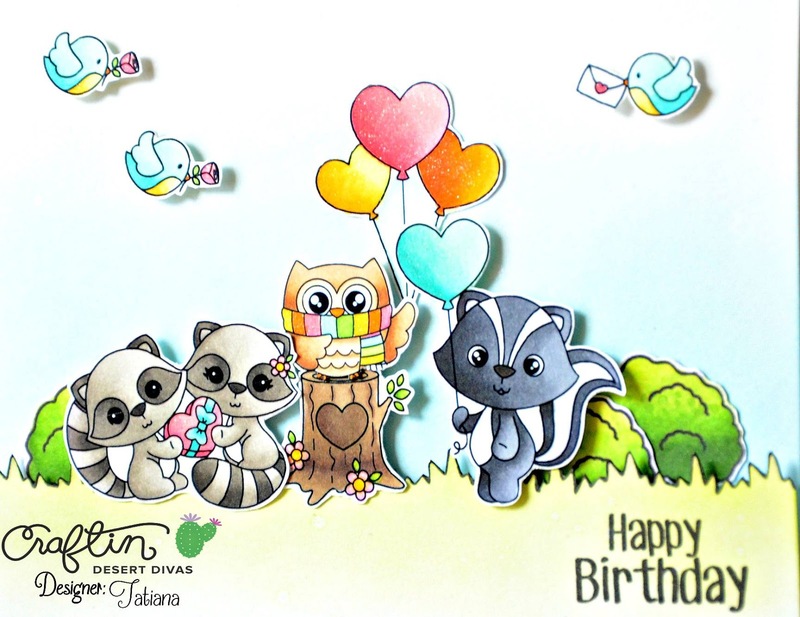 Before arranging the cute critters on an A2 size card base, I created a sky using a light blue ink and repeatedly stamped grass image from Build A Scene stamp set in a line long enough to cover the whole card front as well as a few bushes to complete the scene. Finally I popped up all the elements on a foam tape just to bring some interest and dimension and added a clear shimmer pen because there would be no birthday without sparkling and glitter! Right?! LOL! That's all for today! Thanks so much for stopping by! Hope you like the idea and you'll give it a try!